Globally, pregnancy and childbirth are periods of high morbidity and mortality for women. The key to reducing the risks associated with pregnancy and childbirth is early recognition and provision of high quality care. 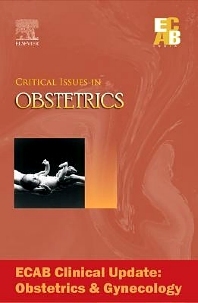 The aims of critical care issues’ management are broad, the need to address the defects in conceiving followed by early recognition, prevention, and management of preterm births and threatened miscarriages along with studying the essential factors responsible for the same. Infertility has been ranked as one of the greatest sources of stress in a person’s life, comparable to a somatic disease such as cancer and ranked second to that involving the death of a family member or divorce. The role of stress and immunomodulation as a causative factor for infertility has been studied in greater details in recent times due to the changing lifestyles and a relevant discussion has been provided by the author with specific considerations in the Indian clinical settings. Endometriosis is the disease of the millennium, a sticky, perplexing and unconquerable pathology, which has remained an enigma. With increased awareness about endometriosis, improved methods of diagnosis like transvaginal sonography, liberal use of laparoscopy and more frequent evaluation of CA 125, the incidence of endometriosis is rising and thus, a clear understanding of the condition with application of the various advances in the recognition and also the new management protocols being followed, are the need of the day for the practitioners across the country. The polycystic ovary syndrome (PCOS), which features amenorrhea, hirsutism, and obesity, which was initially considered a reproductive and cosmetic concern of young women of reproductive age group, has more recently been recognized to have metabolic and cardiovascular associations that make it of major consequence for women of all age groups worldwide. Keeping in mind the requirements of the society, the practitioners need to update themselves on the current approach and the wide variety of choices now available. This book encompasses the rich experience of the specialists in India who are among the stalwarts in this field.